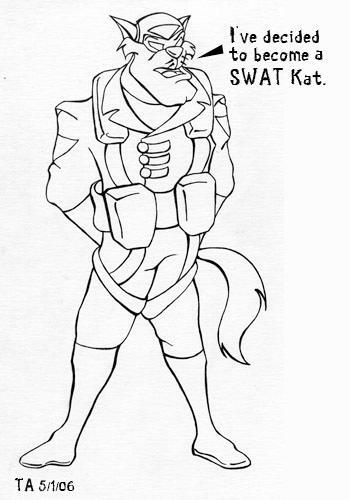 OR, another radical idea is somehow Feral switched bodies with one of the Swat Kats. Which would be terrifying for them if Feral, in either T-Bone or Razor's body, got himself to a mirror and took that mask off. 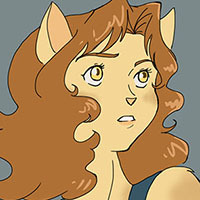 But it would be interesting to see Feral's body piloting the Turbokat talking with T-bone's vocabulary. And the best thing about Swat Kats is neither of these ideas are outside the realm of possibility within this show. Is there even a plot that wouldn't happen in this series? Nothing is too wacky for Megakat City! Second one would be a fun scenario, or you could combine the two somehow. Let's say Feral discovers their identities through that mirror scenario, then when things would switch back again to normal again he'd have to lose his memory or something along those lines or the SK's would really be in trouble. I feel that if Feral joined the SWAT Kats, it would throw a nice curveball to the audience, since in the previous episodes, Feral hated their guts and would do almost anything to know about the SWAT Kats' identity. The whole vigilante style setup in the series reminds me of the Sly Cooper games, as the Enforcers and the SWAT Kats both fight for justice, however Feral sees the SWAT Kats as on the other side of the law, as they kind of destroy the city. Personally, whenever I'm watching the show and Feral complains about how much destruction T-Bone and Razor cause, I'm always thinking, Feral, which is more important? A portion of the city, or the whole place? Be glad any of the city is still there! On a Serious Note However, I would not see Feral Joining the SWAT Kats, he has too much on his plate as it is with running the enforcers and trying to keep his niece Felina out of trouble. What I WOULD see (And Prefer), is Himself and the SWAT Kats burying the hatchet and working together more often as an ally. Himself even being a "contact on the force" for the the SWAT Kats. Honestly I never liked the backstory between those three anyway, nor did I like how pigheaded they made Commander Feral. I honestly believe that severely ruined an otherwise good character. Though I did notice moments of potential in him. 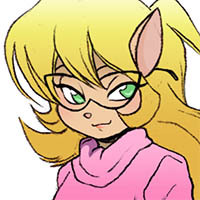 TexasRaider36 wrote: On a Serious Note However, I would not see Feral Joining the SWAT Kats, he has too much on his plate as it is with running the enforcers and trying to keep his niece Felina out of trouble. What I WOULD see (And Prefer), is Himself and the SWAT Kats burying the hatchet and working together more often as an ally. Himself even being a "contact on the force" for the the SWAT Kats. Funny enough, Feral and the SWAT Kats teaming up (officially) would really be quite a twist in the series thematically (and legally) as, well, they're vigilantes, they're breaking the law, and are making a laugh of the establishment--the city's military forces, while doing it. The "illegal, but effective means" being at odds with the "legal, but ineffective means" is as much a running integral theme of the show as, well, good guys versus the baddies! "Stick it to the man" rebellion is a big part of the show itself. I personally enjoy Feral being in the antagonistic role as one of the "good guys", and him being kind of a blowhard jerk at times--and one of his lowest moments being the catalyst for the creation of the SWAT Kats, well, that sets the premise of Feral in the series, cementing that role while still showing that Feral wasn't ALL blowhard. Feral isn't one-dimensional and I think that was pulled off well, just in my personal opinion... Even with his list of poor, ineffectual, blowhard, or "too conventional" tactics, he's also got a down-to-earth side of him as well, and shows pragmatic and admirable qualities as well. 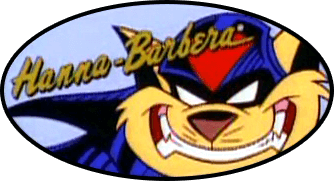 Bro if Feral ever got the ability to completely troll the SWAT Kats he'd be the hero of the show. Like seriously I'd just love him til I died. Oh god, that would be funny as hell! Indeed, otherwise I don't see it happening. Jay Leno's chin just won't allow it.